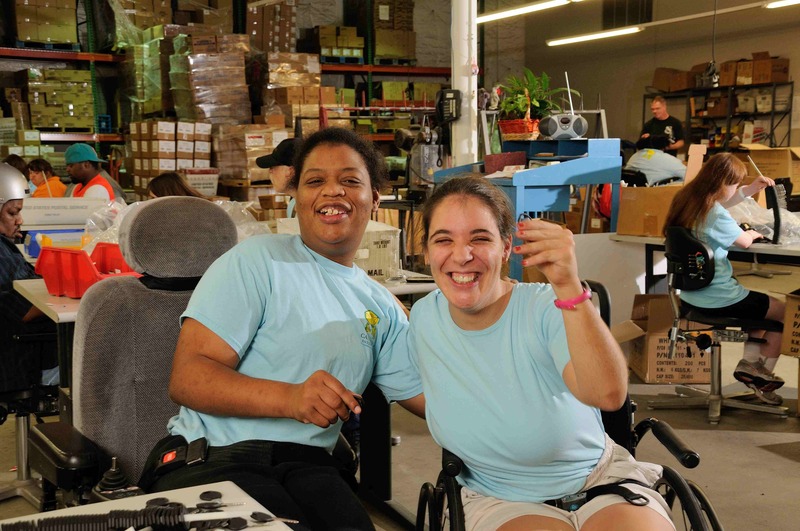 Our Story - Canterbury Enterprises Inc.
Canterbury Enterprises was established in 1983 as a non-profit 501-3(c) sheltered workshop employing people with disabilities in St. Louis County and City. Our mission is “to provide employment and supports to individuals with disabilities in an environment which promotes dignity, encourages independence, and empowers personal goal attainment while offering quality services to the business community.” We provide meaningful work for individuals with disabilities in an accepting and nurturing atmosphere in which they are contributing members of society. Our services include light assembly, packaging, kitting, labeling, sorting, inspection, mailing, repackaging, custom rework, product salvage, and more. We handle ongoing, high volume assignments as well as smaller, one-time specialty projects. Although our services are value priced, we ensure the highest of standards from our staff and 90 employees. Our production supervisors oversee projects from start to finish. Our training staff develops individualized program plans for each of our employees to ensure first-rate work quality and efficiency. Employees are assigned work related goals and are educated on appropriate work behavior in group and one-on-one situations. Our training staff also coordinates with their counselors, residential services, Department of Mental Health case managers and family. Some customers, like American Carnival Mart, have large and small jobs that keep us working on their projects almost all year round. 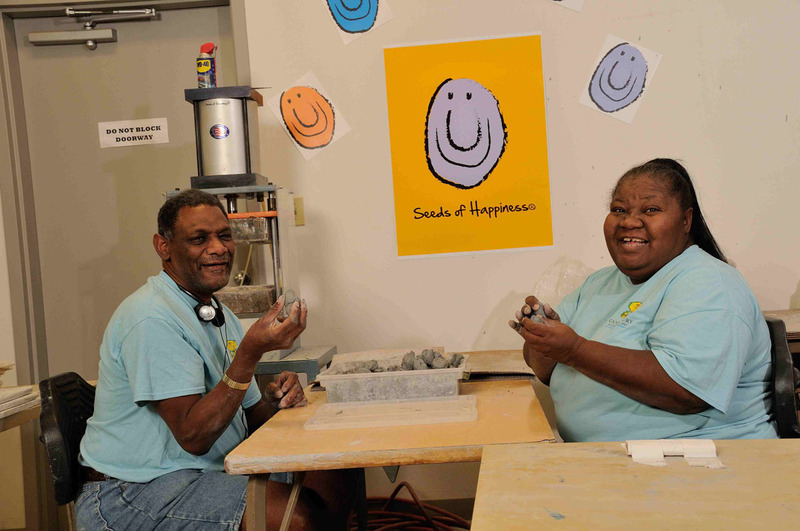 Seeds of Happiness’ clay “seed” preparation is another highly reliable source of work for our employees.